Bed Bug Heaters Commercial: How Do Hotels Get Rid Of Bed Bugs? Bed bugs have been a problem in hotels for decades. Of course, it’s not always the fault of the hotel, motel, or other facility. Bed bugs are pests who don’t discriminate, after all, which means they hitch rides with unsuspecting victims no matter where they go. It could be a five-star hotel in the city or a mom-and-pop bed and breakfast along the highway. Chances are, at some point, those unwanted bed bugs will make their way into at least one room. But, as prevalent as these infestations are across the country, there’s still a vast amount of people who have never had an encounter with bed bugs. Well, believe it or not, these hard-to-see critters are possible to eliminate. Hotels do it all the time, in a variety of different ways with a variety of different solutions. 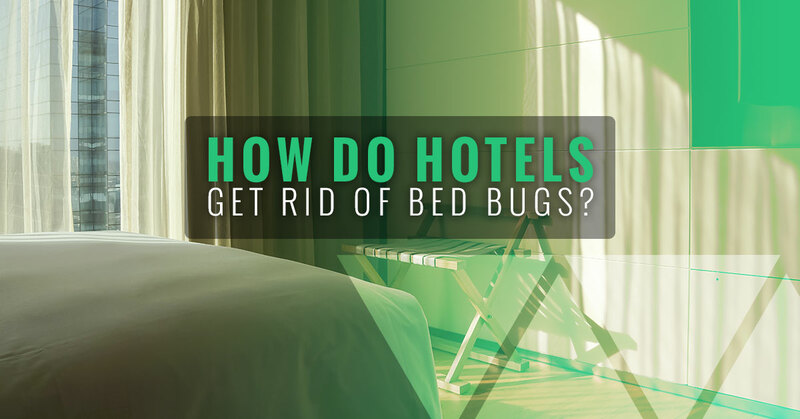 In this blog, we’ll take you through some of the common solutions hotels employ to get rid of bed bugs, and we’ll also point out the best way to eliminate bed bugs in hotels. Keep reading to learn how our commercial bed bug heaters can help you regain control of your hotel! Over the years, chemical treatments have been the most common “solution” to eliminate bed bugs. 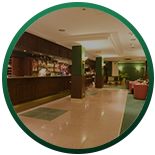 Hotels, motels, and other facilities have long trusted pest extermination professionals to get rid of their infestations by whatever means necessary – which sometimes entailed multiple applications of harmful, smelly, and noticeable chemicals. 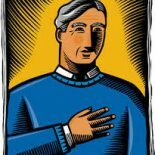 Think about it: How many hotel managers have actually known what type of chemicals are even being used in their rooms? It’s understandable, after all. As soon as you discover an infestation in one of your rooms, thinking clearly and taking the time to read up on the pros and cons of chemical treatment may be the last thing on your mind. All you want is to kill these little pests, no matter the cost. So, rather than pouring through the many options, these hotel managers call up their local exterminator to come get the job done. That means bringing their signature truck (which sticks out like a sore thumb) and parking it out in front of the hotel for all their guests to see. Then, the hotel is forced to close off the infested area for who knows how long while the chemicals are applied. That makes the costs great and the hit to the hotel’s reputation even greater. And that’s without even yet taking into account what the effects of the chemicals may be. Pest control companies often use a multitude of insecticides and pesticides like dichlorvos, resmethrin, malathion, propoxur, hydroprene, fencalerate, and more. These harmful chemicals can take a long time, sometimes several days, to work, meaning your room (or even section of rooms) will be out of commission for the better part of a week. That’s money thrown out the window. Plus, it’s been proven that bed bugs are becoming more and more resistant to the various chemicals that were once implemented to kill them. As their exterior cuticles become hardened, these bed bugs are able to scurry away without so much as a cough. Chemicals are also unable to penetrate through to the crevices and hiding spots bed bugs use to lay their eggs. Basically, if you can’t see the bugs, you’re not going to be reaching them with the spray. In many cases, hotel managers pay all this money to use a chemical treatment only to have to throw out the mattress, bedding, and other furniture that was infested. That’s simply not worth the headache, hassle, or haggling. There has to be a better way, right? Luckily, the answer is yes. Finally, more and more hotels, motels, and even pest control professionals are coming to their senses for the sake of efficiency and safety. Experts have concluded that using a penetrating form of heat can be the most effective way to kill bed bugs in as little as one treatment. So, hotels are now turning to a new method: Commercial bed bug heaters. It’s known that bed bugs can’t survive high temperatures no matter how tough their cuticles have grown. In fact, after a few minutes exposure to temperatures of around 114 degrees, bed bugs will slow and die. 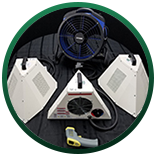 Electric bed bug heaters, particularly those developed by Colorado Tri-Flo Systems, reach temperatures of 121 degrees quickly and emit ambient temperatures of 135 degrees and higher for hours. Those temperatures make bed bugs lethargic, meaning they can’t scurry away before they are impacted by the treatment, and eventually kill them in all stages of life. That includes eggs that are stowed away in difficult-to-reach hiding spots. Heat treatment has offered hotels and lodging facilities with a great alternative to kill bed bugs, as it can be effective in as little as one treatment. That means their infected room will be safe for use the day after treatment in many cases, meaning you won’t be wasting money on out-of-commission rooms. It’s completely safe, too, with no odors or chemicals or residual effects on guests, staff, or even pets. Plus, utilizing an electric bed bug heater for your commercial needs means no more pesky pest control trucks parked outside of the hotel scaring off guests. Heaters are easy to use, meaning hotel staff can be trained easily to perform checks and treatments using only the on-site electrical outlets. Common sense (and the bottom line) dictates that using commercial bed bug heaters are the better route for hotels dealing with an infestation. Hopefully, your facility is taking advantage of the superior solution. If not, give Colorado Tri-Flo Systems a call today to learn how we can help you control pests and create a safe, enjoyable environment for your guests.